This (pictured above) is Tonight Alive. The Sydney-based outfit have so far struck twice in the ARIA top 20 with their first two album releases and it’s hoped within the walls of their label that they’ll take their new album ‘Limitless’, released today, right to the top. 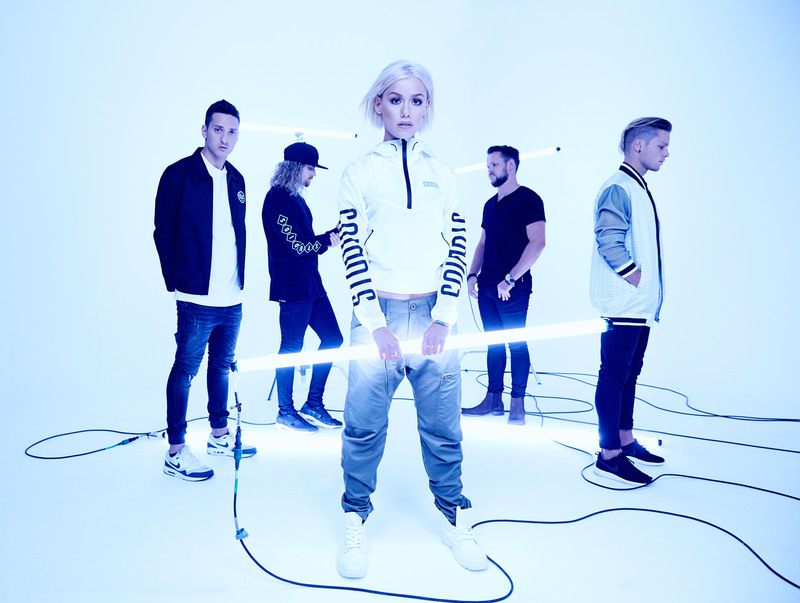 The new Tonight Alive LP contains 11 new songs that are all bound to become favourite in the band’s live sets, including the sensational highlight single ‘Drive’ (video below). To celebrate the album’s release today, thanks to their label Sony, we’ve got TEN copies of ‘Limitless’ ready to give away to you. But we’re doing this giveaway a little differently. We’re giving five copies away here on the website and another five copies away on our Facebook page via a ‘Like & Share’ competition. That’s two chances to win! For the giveaway here, send us an email via our CONTACT page. Put your full name and your email address in the relevant boxes, write ‘TA’ in the subject box and in the comment box, furnish us with your full postal address. For our Facebook competition, hit our FACEBOOK page and look for the ‘LIKE & SHARE TO WIN’ post. Follow the instructions there for a second chance to win! Competition closes at 10pm AEDT on Friday March 11, 2016. Competition is open to Australian entries only. One entry per person/email address/household. Winners drawn entirely at random. Winners’ first names, suburbs/towns and states will be published on the site on Saturday March 12, 2016. Five lucky winners will each receive a copy of the hot new Tonight Alive album ‘Limitless’, with thanks to the team at Sony Music Australia. And as always, we’ll not be sharing your personal details with anyone. They’re only in our inbox for the purposes of prize distribution should you win. Good luck!